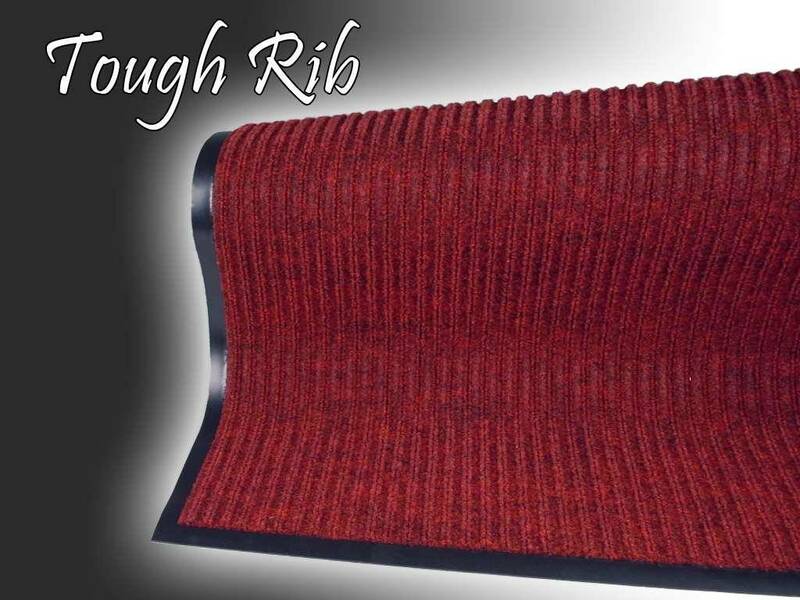 Tough Rib’s specially designed rib pattern brushes dirt off of footwear and hides debris within the grooves. 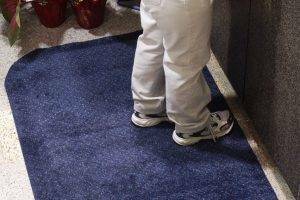 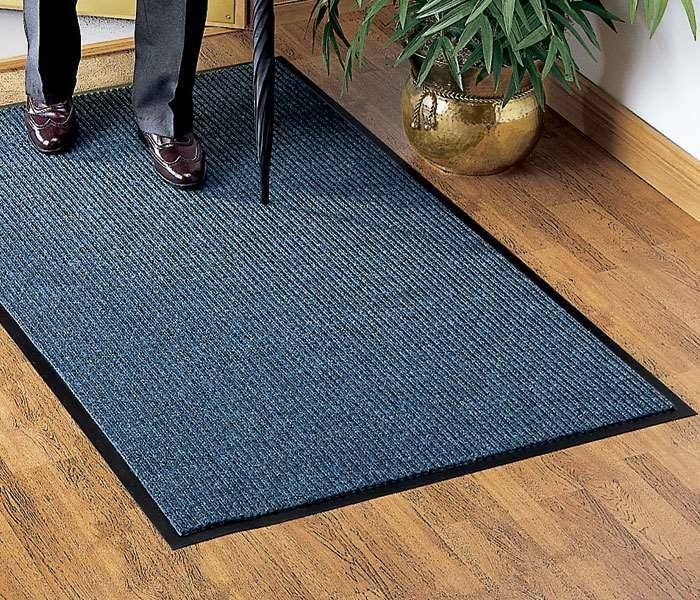 Tough Rib Entrance Mat's alternating high / low rib pattern scrapes dirt and grit off shoes while removing moisture. 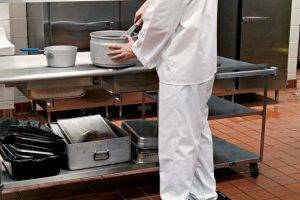 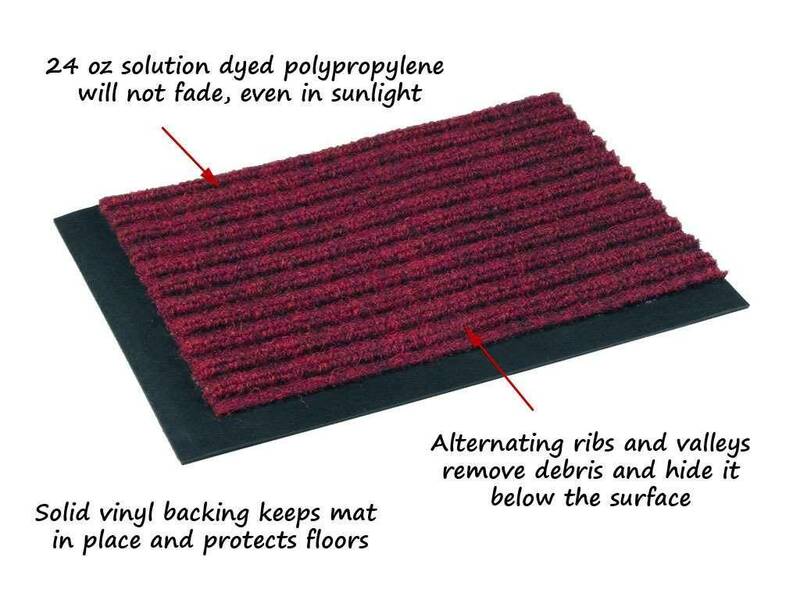 Solution-dyed polypropylene fiber resists fading and retains its original color. 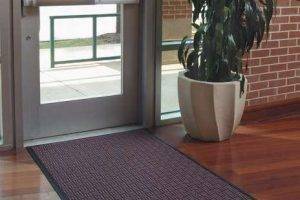 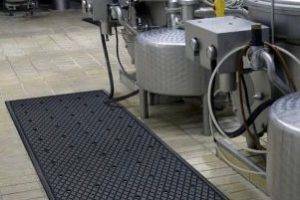 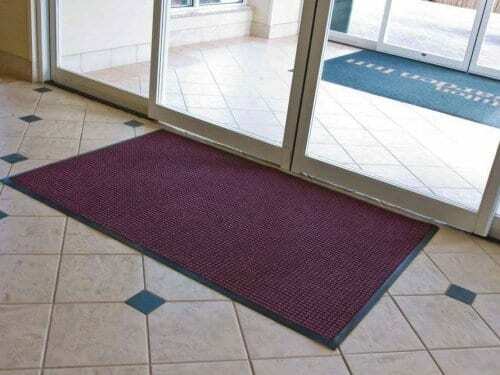 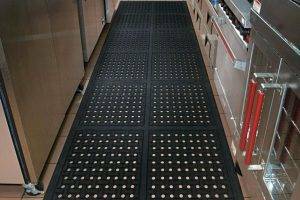 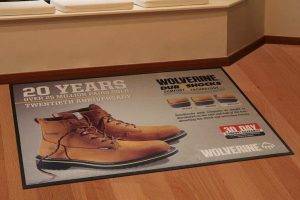 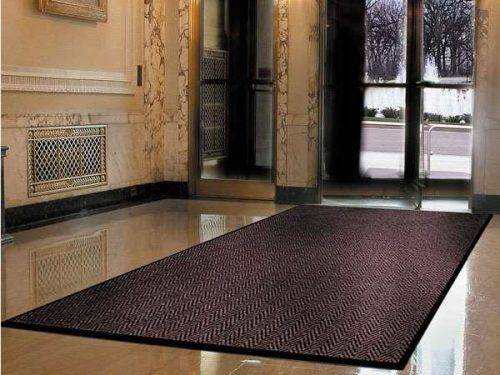 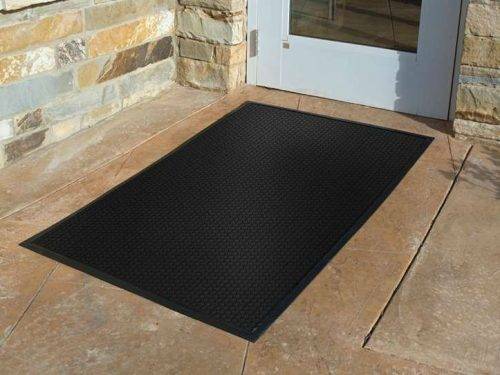 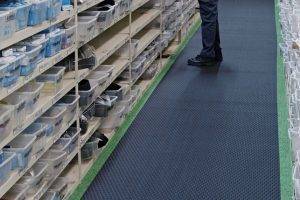 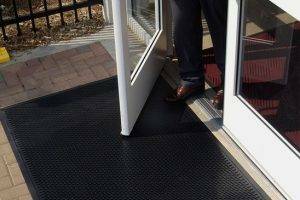 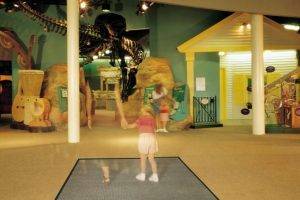 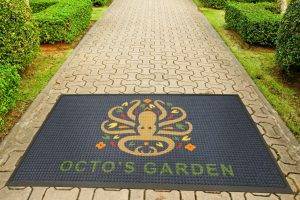 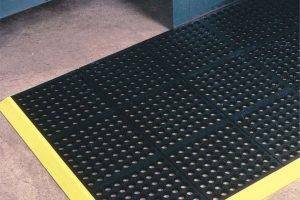 Tough Rib Entrance Mat economically addresses maintenance issues, saving you money! 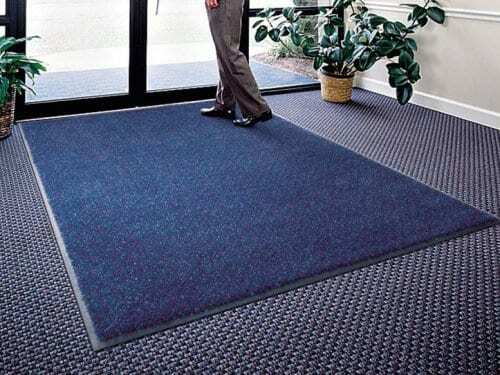 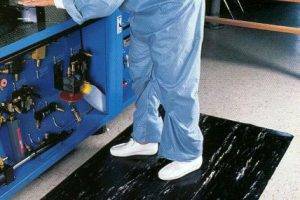 Solid vinyl backing with ¾” borders keep your mat in place and protect your floors.